The title of the game creates all kinds of assumtions as to what the game is all about. 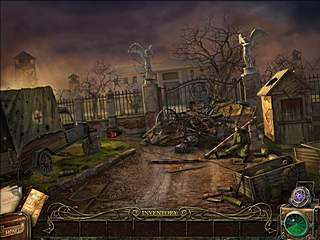 Because if you are in this genre for quite a while, you most probably played several games with abandoned haunted hospitals or mensions. But The Agency of Anomalies: Mystic Hospital is offering more of a story. The hidden object searches are typical in the way that you get a list of items to find, but the number of itemes is unusually large. There is a great mission for you in this game. You are to stop the dimantional vortes from openning. How did we get to that? Well the story began 10 years ago, when in attempt to create a super soldier experiments were carried out. The experiments did not end well. The human volunteers were injected paranormal serum, which lead to them becoming monsters and ultimately the whole thing ended with the explosion of the hospital. One of the doctors escaped with Nexus, the paranormal energy holder. It is up to you now to not let Nexus restart and lead to a catastrophe. 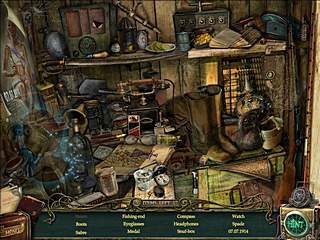 The game is a balanced mis of hidden object scenes and different puzzles. The hidden object searches are typical in the way that you get a list of items to find, but the number of itemes is unusually large. You start with only 12 items and then as you find them new items are added to the list. Having found the final item you get an item that goes to your inventory. Sometimes you will have to place the items on a given scene. 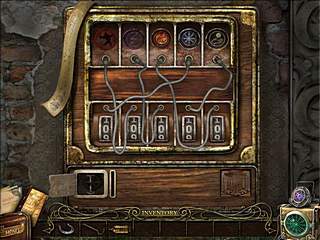 The hints are available for the searching and the skipping is allowed on a rechargable level for the puzzles. All of your achievements are noticed here. So completing hidden object levels without using hints or solving puzzles counts. There are also postcards scattered all over the game. The outwards presentation of the game is totally awesome and rendering the required atmosphere. The music and background sounds of the monsters together with the beautifully detailed graphics create the eerie setting. To my humble opinion is one of those worth the time spent of them. This is The Agency of Anomalies: Mystic Hospital review. Download this game here.